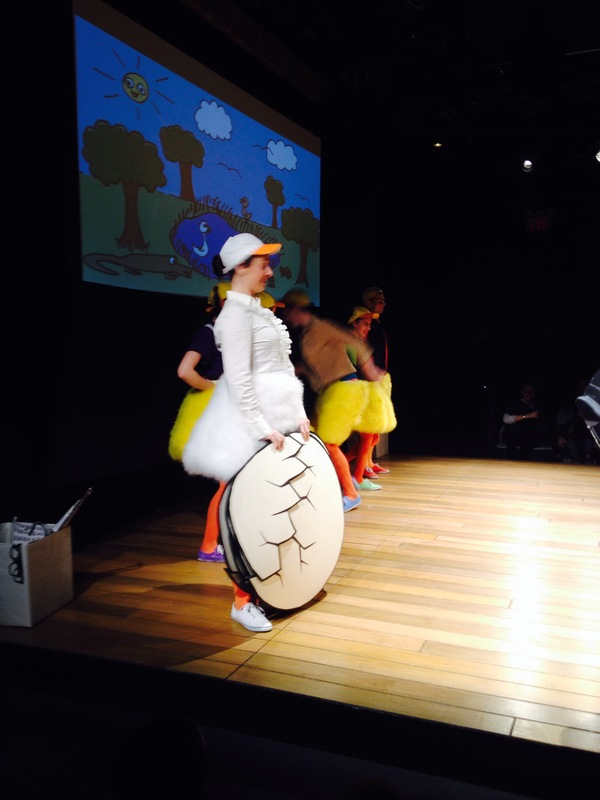 V & K love interactive theatre plays like Can Do Duck! 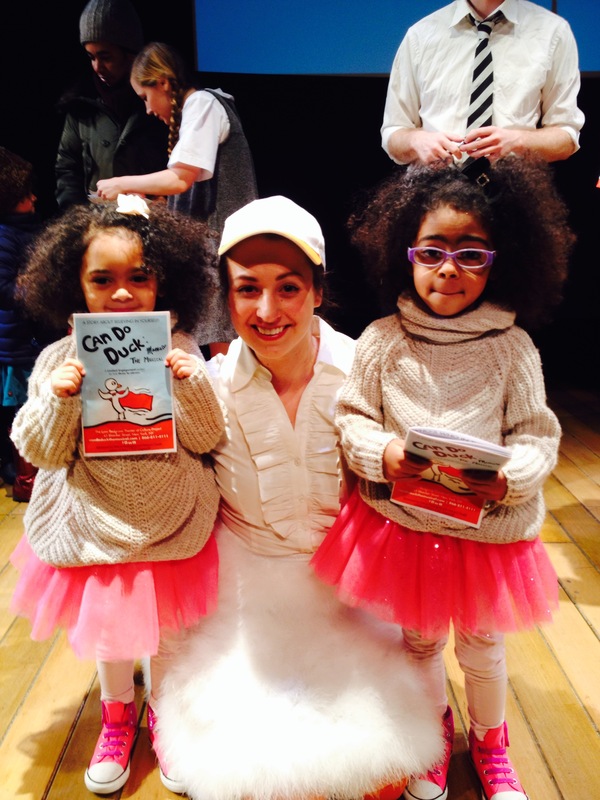 We were so excited to attend the girls first interactive theatre event. 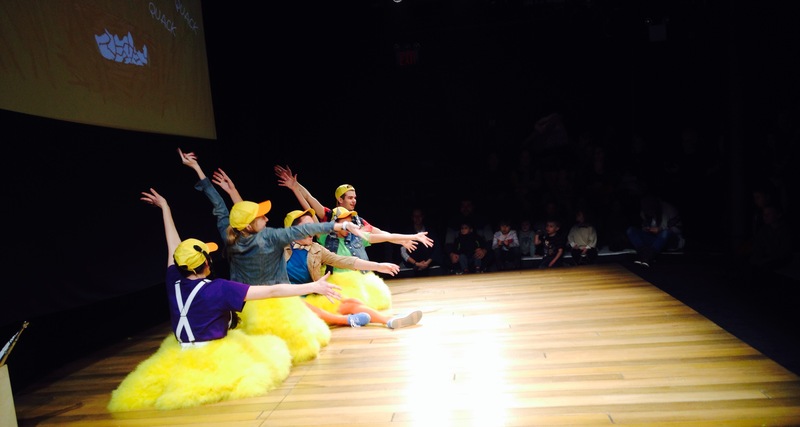 Yes, Disney world and Sesame place include their audience in standing and dancing during the shows but nothing compared to “Can Do Duck the musical” in the Redgrave theatre on Bleeker Street, NYC. 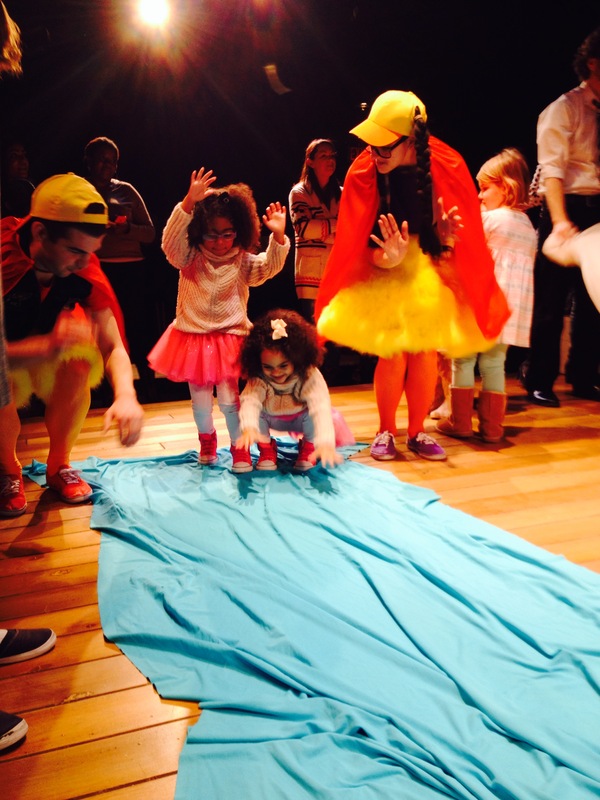 The musical is being held in Redgrave which offers one show at a time, this allowed for the children to enter the building and gain a full experience of the lobby filled with Can Do goodies and embellishments. 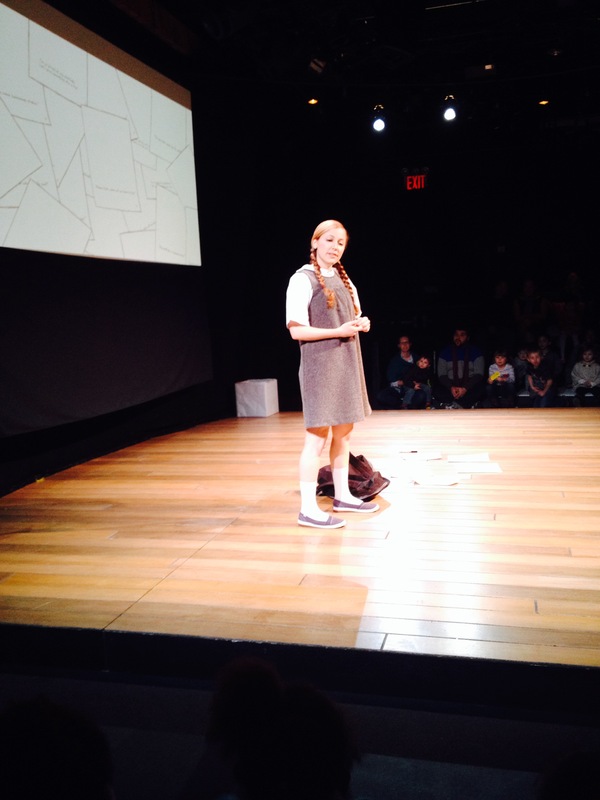 Once seated the show immediately began with interaction from the actors which held the children captive to what would happen next. 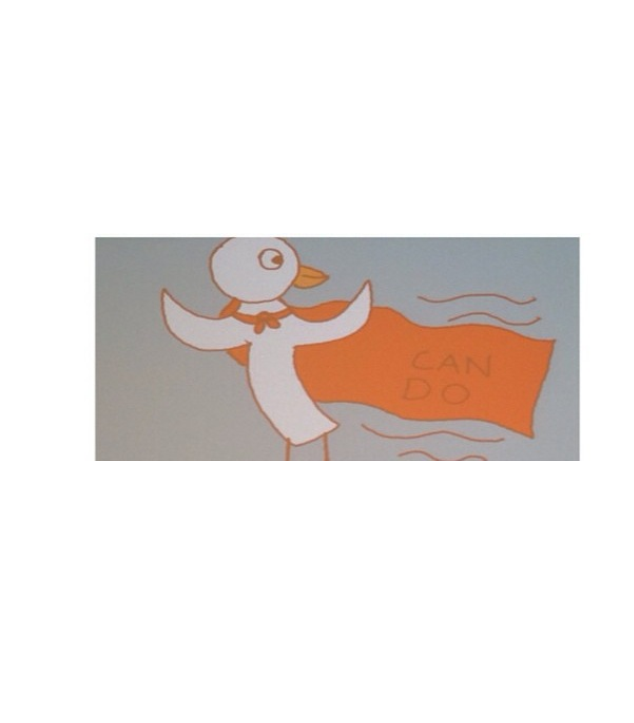 The story of Can Do Duck, describes all sorts of capabilities that you can achieve and is creatively incorporated with great musical numbers that the girls have singing or humming for days now …”Make a plan”. 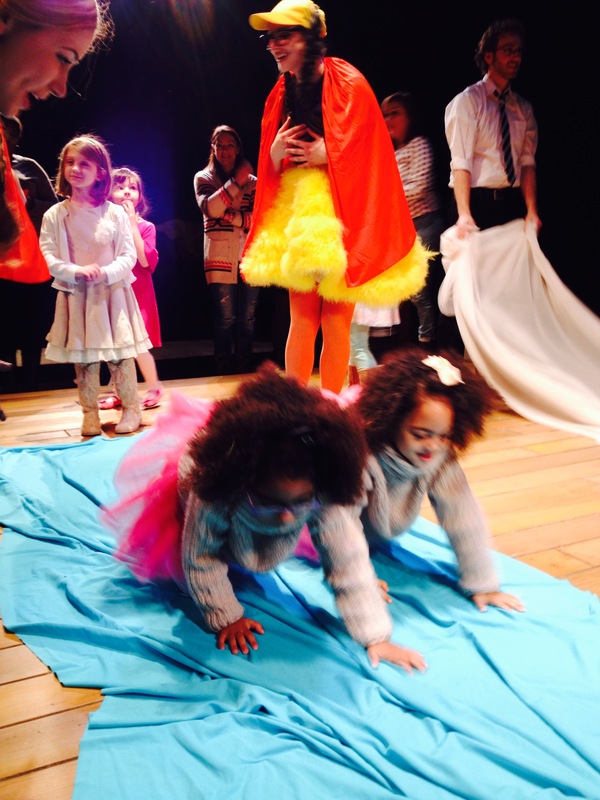 Throughout the show the actors selected children to be a part of scenes. 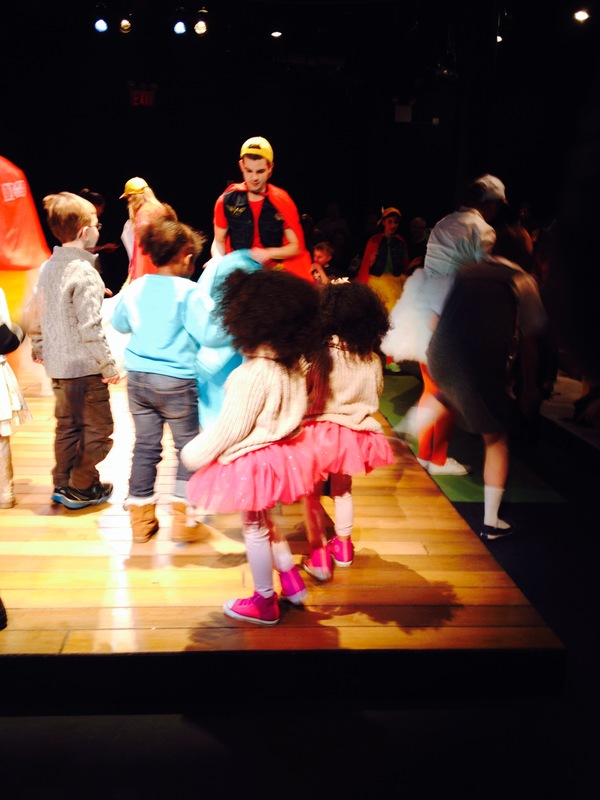 But the best part was the ending when all children were invited up to the stage to interactive with the actors and props. V & K pretending to swim in the pond like a duck and fly in the sky through the clouds with sparkled tutu skirts and all. This must musical will be running Weekend mornings until March 2014.